Jane Rogers studied viola at the Royal Academy of Music with John White, Stephen Shingles and Jan Schlap . 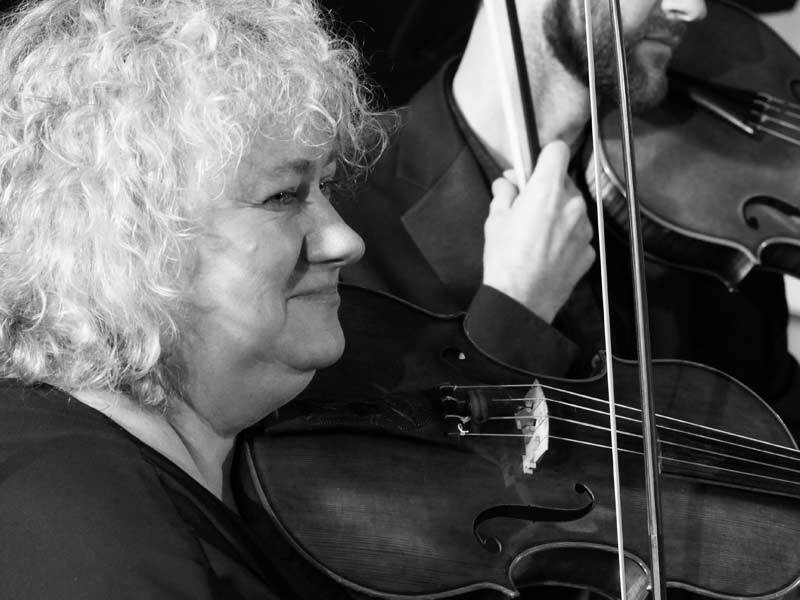 She was a member of the European Union Baroque Orchestra and went on to play with some of the foremost baroque ensembles in Europe dividing her time between touring, recording and teaching in a career spanning 28 years. Jane is currently principal viola with Brecon Baroque,La Nuova Musica, The Academy of Ancient Music and is guest Principal viola with Early Opera Company, The Hanover Band and The King’s Consort.Jane is a keen chamber music player and was a former member of both the Eroica and Amsterdam string quartets and now plays regularly with ARCO chamber ensemble of Australia and Florilegium.She is a visiting professor of baroque viola and viola d’amore at the Royal Academy of Music in London, the Royal Welsh College of Music and Drama, The Amsterdam Conservatorium and The Royal Irish Academy of Music in Dublin and has given masterclasses all over the World. Jane has recently qualified as a Bach Flower Remedies Practitioner with a view to setting up workshops on performance anxiety for actors and musicians. “I first became aware of the viola whilst listening to a string quartet recital on the radio, and immediately fell in love with its warm and generous sound. I was five years old and had no idea of the name of this mysterious instrument in the middle, but knew that it wasn’t a violin or ‘cello. My parents did some research and I was offered violin lessons, being then too small to play the viola. I’m proud to say that I refused point blank! “Eventually, aged 12, my dream came true and I started viola lessons, quickly becoming the only violist in our youth orchestra. It was me against twenty eight violins and the conductor was continually nagging me to play louder to make up for the lack of section behind me — to those who know my playing well, all I can say is that this explains it all.